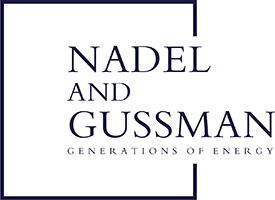 Nadel and Gussman highly values our relationships with partners and owners and strives to provide efficient service to our royalty owners and working interest owners. In this section, we have provided answers to owner’s most frequently asked questions for your review. Please do not hesitate to contact us at (918) 583-3333 if you have questions concerning your ownership, payments, or account with Nadel and Gussman. What is a Division Order? What do I do when I receive a Division Order? A Division Order directs how funds are distributed from proceeds of the sale of oil and gas. If you have received a Division Order from Nadel and Gussman or one of our joint ventures, please verify the information and be sure to sign it when returning it to us. We ask that you verify the information on the Division Order, such as the spelling of your name, your mailing address, your ownership interest, and other information specified on the Division Order. It is important that you complete and return the W-9 included with your Division Order to avoid payment delays. Every situation is different so if you have questions about your Division Order, please contact us. If you need to make changes to ownership information, such as a change of address, change of name, or change of ownership, please contact us immediately to prevent unnecessary delays. Why haven't I received my check? The most common reason is because your account has not reached the minimum $100 balance for payment. All accounts with less than the minimum balance for payment are paid in the 4th quarter of the year. We might have outdated or incorrect information for your address. Please contact us and we will be happy to assist you. Why are there deductions from my check? Federal law requires us to withhold taxes in certain circumstances, including when we have invalid or incomplete information on file for owners. If we have withheld taxes from your check, please contact us to ensure your information is up to date. New Mexico and Oklahoma also require companies to withhold taxes for non-resident owners. You may be able to file for a refund for state withholding if you file an income tax return in these states. My check was lost, stolen, misplaced, or is stale. What should I do? Please contact us immediately if a check was lost or stolen. If your check is dated previously more than 180 days, please contact us to determine whether the check requires reissue. Checks that require reissue will be processed in the next cycle. IRS 1099 forms are mailed January 31 to owners for the previous tax year. Interest owners who receive more than $10 and working interest who receive more than $600 receive IRS Form 1099. Please contact us for more information or if you have not received your 1099 form. We strive to provide timely service to owners. The timing of initial payments vary due to a number of factors and is different for every case. Generally, payments can take up to six months after the first sales on a well before you receive your first payment. Title disputes can extend this time period. If your account meets the $100 threshold for payment, we issue payments prior to the last day of each month. If you have not received your payment by the 15th of the following month, please contact us for more information. Payments vary due to a number of factors and it is difficult to predict how much a payment may be a particular month. Well production and pricing varies over time and other contributing factors can affect your payments, such as mechanical or operational problems, routine maintenance, or other temporary production downtimes. Royalty payments are dependent on production from wells and the life and production rates of wells cannot be guaranteed. Wells may be shut down for maintenance or stop producing over time. If you believe an error has occurred in your payment, please contact us. Can my account be suspended? What happens if it is suspended? Accounts may be suspended for a number of reasons, including title disputes, assignment of interest, notice of death, transfer of property, or an incorrect mailing address. If payments have gone stale repeatedly or checks have been returned to us for incorrect mailing information, we may suspend an account. Keeping your information up to date can prevent account suspension. State laws vary but accounts may go to unclaimed funds after 1 to 5 years. You can check for unclaimed funds in your name by visiting the National Association of Unclaimed Property Administrator (NAUPA) website at www.unclaimed.org. I have tax questions related to my royalties. Who should I contact? Taxes and withholdings vary in every case and are individual to each owner. Please consult with your attorney or tax advisor on all tax related questions. The interest owner has passed away. What should I do? Please contact us for full details on what information is required to update account information in the case when a royalty owner has passed. My check amount is different from other family members. Why? Although family members often are interest owners in the same property, interest amounts can be different. As well, some royalty owners may have taxes withheld that changes the amount paid in your check. Other family members might also have interest in other properties. There are other reasons why check amounts may differ. If you have questions about your payment, please contact us. If we did not answer your question in our frequently asked questions section, please contact us. We value our relationships with royalty owners and working interest owners and can answer other questions concerning your payments, account, or ownership interest.